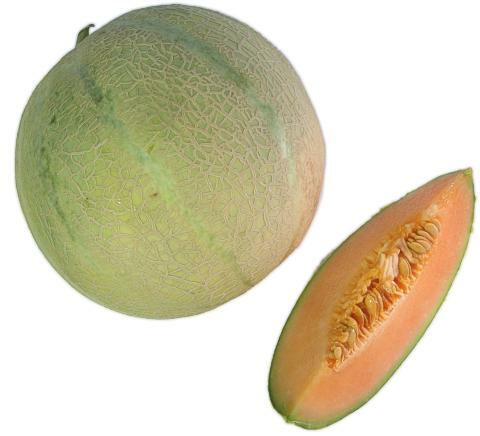 General Information: This is a hybrid melon of French and Western muskmelon descent. It is harvested at peak maturity to provide full flavor and sweetness greater than a standard cantaloupe. The Red Moon melon is fat free, cholestrol free, and high in vitamin A and C. It is also a good source of Folate and Beta Carotene - important elements in health eating.